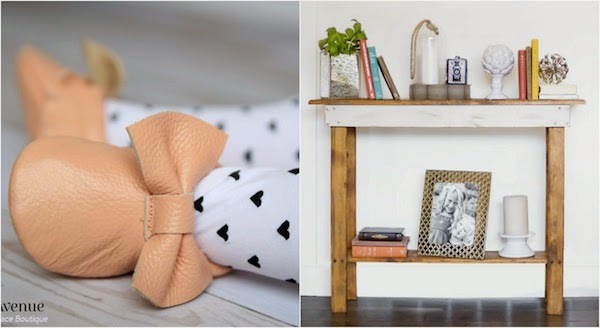 Alright guys, I'm super excited to talk about one of my favorite deal websites formerly known as GroopDealz and now relaunching TODAY as Eleventh Avenue! This is a darling boutique that handpicks the perfect items from women's clothing, to super cute baby threads, to great items for the home! I love a few of their new features on the site as well including the ability to create "collections" by starting your own page of collections keeping track of everything you love in one place. You can also file away the items you “love” by simply clicking the heart icon to the right of each product photo, as not to forget them when you revisit! Along with a new name, they have also grown a lot and have lots more items than before! If you know me, you know I'm a sucker for great deals, so to be able to find all these great items in one place for killer deals is definitely my kind of site! P.S. I'm getting ready to buy these darling moccs and maybe a pair of shoes for myself...or two! *This post is sponsored by EleventhAvenue, however all thoughts and ideas are my own.